hereI for one have reduced the number of jewellery I buy from typical high street shops as the quality most times are not great – oxidisation happens quickly despite storing in an environment with reduced moisture. Because of this, I tend to purchase my jewellery from shops like Monica Vinader and Kate Spade as they are not only unique, but are also lasting. 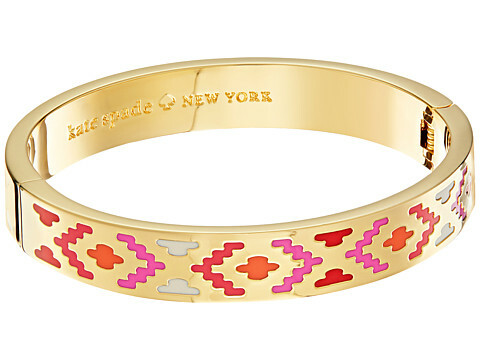 Kate Spade especially has cute pieces which you don’t quite see often. 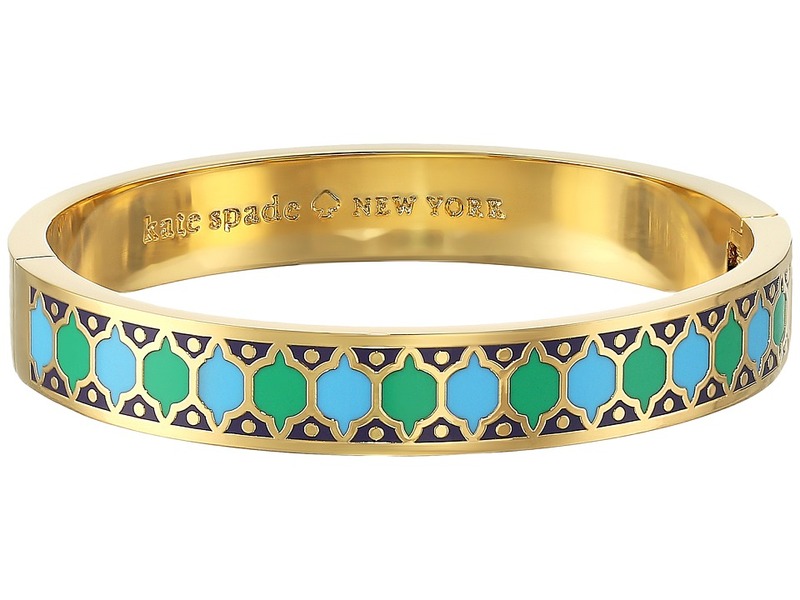 I for one, am in love with their bracelets and have started building a collection. 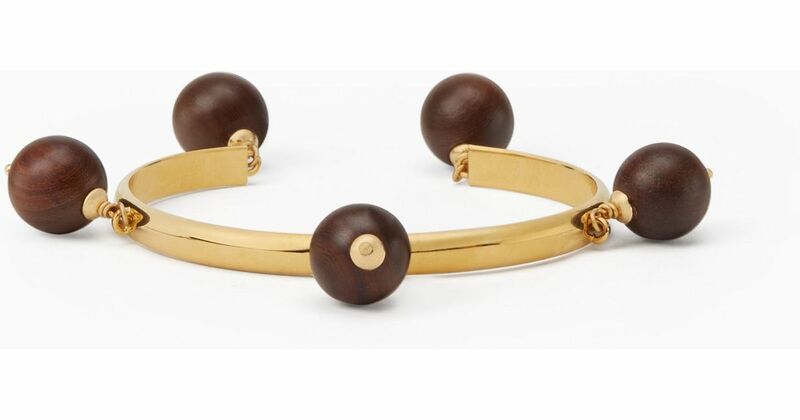 Their Idiom bracelets are made with shiny gold plated metal with cubic zirconia and enamel fill . They come with hinges are perfect for those with small wrist and hands. Quality wise they are great – I have had three Idiom bracelets for over a year now and they have not discoloured. The original price is £70 but it is now on sale for £29. By signing up to their newsletter, you get an additional 10% off making it £26.10. You can find it here. The original price is £70 but it is now on sale for £29. By signing up to their newsletter, you get an additional 10% off making it £26.10. You can find it here and will look great worn with the mint condition bracelet below. The original price is £70 but it is now on sale for £29. By signing up to their newsletter, you get an additional 10% off making it £26.10. 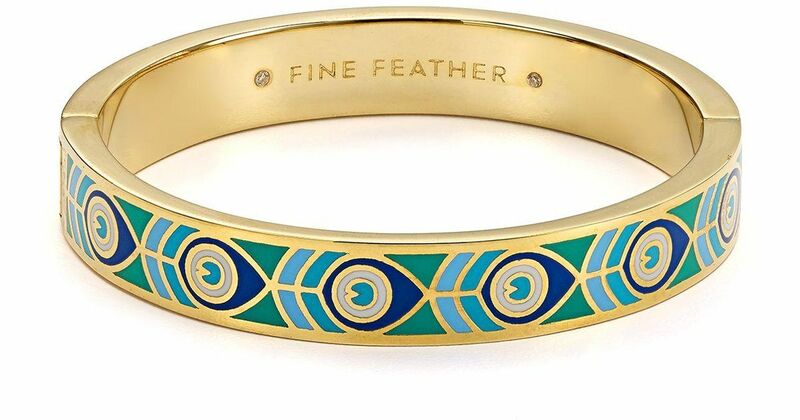 You can find it here and will look great worn with the fine feather bracelet above. There are two colours on sale – neutral which is a brown shade and blue which is a mix of light and dark blue. They slide on and are easily adjustable to wrist size. It is made of shiny gold plated metal with resin and glass stone. The original price is £50 but it is now on sale for £19. By signing up to their newsletter, you get an additional 10% off making it £17.10. You can find it here.